We are committed to working together to create a caring environment for individuals struggling with eating and body image issues. Anxiety treatment is also available as an additional resource. Dr. Micsko is a Licensed Psychologist in both Kansas and Missouri and has been awarded the distinction of Certified Eating Disorders Specialist by the International Association of Eating Disorders Professionals (IAEDP). She dedicates her career in Kansas City to the widespread issues of compulsive overeating and body shame. Since 1987, through both individual and group psychotherapy, Dr. Micsko has helped individuals develop a healthy relationship with food, movement, and their body working from the principles of shame resilience theory, intuitive eating and self-compassion. The National Speaking of Women’s Health Foundation honored her in 2003 with an award of distinction for her contributions to eating disorder treatment in Kansas City. She co-founded InSight Counseling, LLC which is comprised of highly trained specialists who are passionate in treating those who are struggling with eating disorders. Dr. Micsko was also granted the designation of Certified Eating Disorders Specialist – Approved Supervisor by IAEDP and has provided ongoing training and supervision for professionals who treat eating disorders for the last 25 years. She conducts seminars locally and nationally on topics related to body shame and compulsive overeating and for the past 3 decades has been instrumental in bringing over 28 nationally known speakers to Kansas City to help further public and professional education regarding eating issues and body shame. She is an advocate for those struggling with eating issues and weight bias and has been a public spokesperson in this capacity via television, radio and newspaper. Dr. Micsko was a founding member of the Body Balance Coalition; a foundation designed to promote education and awareness regarding eating issues and weight-inclusivity to both professionals and the general public and has been the President of the Board of Directors for over 20 years. She is also a founding member and vice-president of the Kansas City IAEDP chapter. Dr. Micsko has served as an ambassador in Kansas City for the Binge Eating Disorder Association; a national foundation focused on providing leadership, recognition, prevention, and treatment of binge eating disorder and associated weight bias. Dr. Micsko is married and the mother of two grown children and her 4-legged baby with paws. 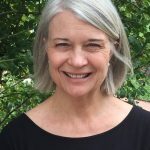 Kathi is a registered dietitian who has passionately served the Kansas City community by helping those with eating disorders make peace with food and their bodies for over 25 years. In addition to her extensive experience providing nutrition therapy , she is an approved International Association of Eating Disorder Professionals (IAEDP) supervisor and provides ongoing supervision to registered dietitians who are seeking their IAEDP certfication. She co-founded InSight Counseling, LLC, which is comprised of highly trained specialists who are dedicated to treating those who are struggling with eating disorders. Kathi helped co-found the Body Balance Coalition (formally known as the Christy Hendrich Foundation), a foundation designed to promote education and awareness of eating disorders, and has served on the board for 20 years. Through the organization, she has helped bring nationally known speakers to share their knowledge and expertise to professionals and the general public in the Kansas City area. She serves as an active member of the International Federation of Eating Disorder Dietitians (IFEDD). In addition, Kathi has developed handouts, conducted over 70 seminars, and spoken on radio and television, contributing significantly to the battle against eating disorders both nationally and in her community. She actively supported numerous organizations, including the Revisioning Women Project (UMKC), the Eating Disorder Self-Help Group Steering Committee, the REbeL, Inc. walk and gala fundraiser, and the National Eating Disorders Awareness Week. She believes in health for the whole person, embodiment, and embracing weight-neutral self-care, self-compassion, and self-awareness through one’s relationship with food, movement, and their body. Kathi is married, a loving mother and grandmother and joyfully walks, reads, and connects with people in her life. Dr. McCune-Shyver is a psychologist with extensive education and training in the field. She holds a doctorate in clinical psychology and two independent master’s degrees in general psychology and counseling for couples and families. She has been assessing and treating eating disorders in outpatient and inpatient settings since 2004. Dr. McCune-Shyver offers individual and group counseling, family and marital counseling, and eating disorder assessment services. She uses an integrative counseling style, but primarily utilizes cognitive-behavioral, dialectical-behavioral, and acceptance-based therapies. She tailors scientifically-supported treatments to meet the individual goals of her patients, help promote a healthy balance to both thoughts and behavior, and to develop productive coping strategies. In her work with families, Dr. McCune-Shyver uses evidence-based treatments to help patients work through challenging times, strengthen their relationships, and enhance communication. Although she specializes in eating disorders, Dr. McCune-Shyver has substantial experience treating depression, anxiety disorders, and general adjustment issues. Dr. McCune-Shyver has been published in peer-reviewed scientific journals and her research has been routinely presented at national and international conferences. Dr. McCune-Shyver loves being married and caring for her two children. Outside of her family, her greatest interests are traveling, reading, and her Newfoundland Barbara. Kirsten is a Licensed Social worker in Kansas who has specialized in the treatment of eating disorders for over fifteen years. Kirsten has treated adolescents and adults in two in-patient specialty Eating Disorders programs prior to moving into outpatient practice. After receiving her graduate degree from the University of Kansas, she was trained at the Menninger Clinic, treating patients from a psychodynamic approach. Kirsten enjoys collaborating with a multidisciplinary team to provide specialty treatment to patients and families with disordered eating and related mood issues. While she treats patients of all ages, she has a particular interest in helping adolescents and young adults using a strengths based model. A native of the Kansas City area, Kirsten lives with her husband and two very active young boys. Sarah Miller practices as a Licensed Clinical Professional Counselor in Kansas who specializes in treating adolescents and adults struggling with eating disorders. She also enjoys helping individuals and families struggling with anxiety, various mood disorders, general adjustment, relational and interpersonal concerns. Sarah received her BS in Nutritional Sciences in 2001 and her MA in Clinical Counseling in 2006. Sarah has been working with adolescents in various settings for over 12 years and has experience in wellness coaching. She works from an Attachment lens, values working with a treatment team, and utilizes a multidisciplinary approach, highly valuing each individual for his/her own uniqueness. She believes in a holistic approach to counseling through exploration of psychological, emotional, spiritual, and relational aspects of one’s life. Additionally, Sarah loves being married and caring for their son and daughter. 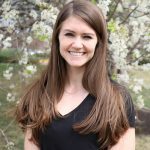 Katy is a Certified Eating Disorder Registered Dietitian (CEDRD) with a master’s degree in dietetics and nutrition, and is licensed in both Kansas and Missouri. Katy has provided care to clients with eating disorders in both inpatient and outpatient treatment settings. She is passionate about helping people struggling with eating issues and body shame heal their relationship with food, using an intuitive eating and non-diet approach. She has undergone extensive training and supervision in treating all types of eating disorders, and has a special interest in both binge eating disorder and ARFID. Katy serves on the Board of Directors for the nonprofit Body Balance Coalition, a foundation designed to promote education and awareness regarding eating issues and weight-inclusivity to both professionals and the general public. She previously served on the Board of Directors for REbeL, Inc., a nonprofit eating disorders prevention program. Katy is currently an active member of the International Federation of Eating Disorder Dietitians (IFEDD), the Academy for Eating Disorders (AED) and the International Association of Eating Disorder Professionals (IAEDP). She is a founding member and president of the Kansas City IAEDP chapter. A lifelong learner, Katy loves attending conferences and is an avid reader. Additionally, she is trying to influence change by writing and speaking on weight-bias, diet culture and eating disorders and has authored several e-books, online courses, and a blog which can be found at www.katyharvey.net. Katy is married and the mom of two busy boys who love being outdoors. Dr. Carrie Sheets is a licensed psychologist in Kansas. She received her Masters and Ph.D. from the dual program in Clinical and Biological & Health Psychology at the University of Pittsburgh and then completed her clinical internship at Duke University. Dr. Sheets has over 13 years of clinical and research experience in the treatment of anorexia, bulimia, binge eating, and other eating issues in individuals of all ages. She also enjoys working with patients who have insomnia, chronic pain, bariatric surgery, and other health problems, and she also has extensive experience treating depression, anxiety, adjustment issues, and providing wellness coaching. She uses an integrative therapy style depending on the needs of the client, but primarily uses techniques from dialectical behavior therapy, cognitive-behavioral therapy, and mindfulness and acceptance-based approaches. She has presented her work at national and international conferences and published in peer-reviewed scientific journals. Dr. Sheets is an active member of the Academy of Eating Disorders, the Obesity Society, the Society of Behavioral Medicine, and the American Psychological Association, and she served as Vice President on the Southern Board of the Nevada Psychological Association. Dr. Sheets moved to Kansas City from Las Vegas and enjoys sailing, traveling, windsurfing, and spending time with her family and friends. Dr. Amy Jacobsen received her Ph.D. in Clinical Psychology from The University of Georgia. She completed her clinical internship at SUNY Upstate Medical University and a postdoctoral fellowship at Mayo Clinic in Minnesota. She has served as Assistant Professor in the Mayo Clinic College of Medicine, Research Assistant Professor in the Department of Neurology at the University of Kansas Medical Center, and Adjunct Assistant Professor in the Department of Psychology at the University of Missouri-Kansas City. Dr. Jacobsen was a senior staff psychologist at the Kansas City Center for Anxiety Treatment (KCCAT) for over 7 years where she provided specialized Cognitive Behavioral Therapy (CBT) services including Exposure/Response Prevention (ERP) across all age groups for anxiety disorders. She is excited to bring her specialty services to independent practice, working with all ages and offering evidence-based services for anxiety and obsessive-compulsive spectrum conditions, and adjunctive anxiety-focused services for individuals affected by eating disorders. Dr. Jacobsen has published several research articles and presents at state and national organizations. She also has provided education and training to residents and the community, and she is a member of several national organizations, including the Anxiety and Depression Association of America (ADAA) and the International OCD Foundation (IOCDF). Janet is a Licensed Clinical Professional Counselor in Kansas. Her focus is helping individuals with disordered eating including bulimia, compulsive overeating and anorexia. She also specializes in helping those struggling with grief, mood disorders, stressful environments, parenting, or personal relationship issues. She works with clients considering bariatric weight loss surgery, and post-surgery recovery periods. She believes in a client-centered approach to healing. Her eclectic style utilizes cognitive behavioral therapy, dialectical behavior therapy, mindfulness, acceptance and commitment therapy, boundary setting, family system dynamics, and core identity development exploration. Janet has worked in private practice setting with adults, children, teens, and families for over 15 years. After a successful career writing and producing radio and television, she became a full-time mother and returned to school receiving her master’s degree in counseling at Mid America Nazarene University in 2003. An additional 3 years of post-graduate work with a psychoanalytic therapy emphasis has helped her become a gifted diagnostician and clinician. In addition to her private practice, Janet worked for 7 years at a residential treatment facility counseling high risk teen and their parents. She taught parenting classes and helped heal and restore family relationships. Janet loves being part of a treatment team of professionals who support one another to provide their clients’ exceptional care. When not working, she spends time with her husband, children, grandchildren, and two goofy Labradoodles. Jessica Betts, M.S., R.D., L.D. Jessica is a master’s level Registered Dietitian, licensed in Kansas and Missouri. She completed her undergraduate degree in Nutrition & Dietetics at the University of Nebraska-Lincoln and her Dietetic Internship & Master’s Degree at the University of Kansas Medical Center. She specializes in the treatment of disordered eating, anorexia, & bulimia and has experience at partial hospitalization, transitional living, and outpatient levels of care. She provides nutrition therapy that focuses on guiding clients to a nurturing relationship with their bodies and a peaceful relationship with food and exercise. She collaborates with each client’s healthcare team to provide multidisciplinary treatment. Jessica is also the Program Director at REbeL, Inc., a non-profit organization specializing in eating disorder prevention in teens. She has been involved in eating disorder education and advocacy efforts for over 10 years and currently serves on the Missouri Eating Disorders Association of Kansas City Board of Directors. She is receiving ongoing training and supervision from Kathi Bjerg, RD, LD, who has over 25 years of experience treating disordered and compulsive eating. Jessica is available for presentations and workshops related to health, nutrition, eating disorders, & body image. She enjoys getting hooked on Netflix shows, live music, and the mountains. 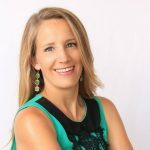 Beth Harrell is a registered dietitian nutritionist (RDN) specializing in creating positive connections with food, weight, eating and body. She works from a Health at Every Size (HAES®) perspective and enjoys helping her clients nourish their mind, body and soul. Step away from the scale as a way to measure health, learn ways to eat that allow true nourishment and peace, and get on with your life. Beth is experienced – She has gathered a variety of work settings for eating disorders since the early 1990’s which allows her to walk alongside her clients to explore their relationship with food and promote healing by blending science and art. She is a Certified Eating Disorders Registered Dietitian (CEDRD) through iaedp™ (International Association for Eating Disorders Professionals). Beth is involved – She is an active member of the Missouri Eating Disorders Council (MOEDC), is founding member of IFEDD (International Federation of Eating Disorders Dietitians), a Board member for the Body Balance Coalition (BBC), a longtime member of the KC Dietetics Association, has provided community outreach and education, and has been part of eating disorders events such as the KC NEDA walk. 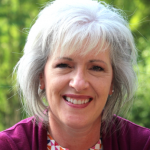 Beth is an educator – As Director of Certification for iaedp™, she is committed to ensuring quality training and certification of medical, therapy and nutrition professionals working with eating disorders around the world. Also, one of Beth’s main roles on MOEDC is to provide training for professionals in all areas of the state to recognize and provide care for disordered eating and eating disorders. Beth served as Dietetic Internship Director through the Commission on Dietetics Registration (CDR) for many years. She presents locally and nationally about topics related to food, eating and weight concerns. Beth is a family person –She is proud mama to two grown children, two Australian shepherds and a small group of (spoiled) hens. She is a Missouri native and is grateful for a husband who cultivates fresh vegetables and flower gardens whenever and wherever possible. Most importantly, Beth wants to be here for you and with you. She is a nutrition counselor who creates a safe space to explore what is important to you and share your journey to get there. Rebecca is a Master’s level dietitian who is dually certified as a certified eating disorder dietitian and board-certified sports specialist. She treats and has received supervision in all eating disorders with a specialty emphasis on athletes with eating disorders, female athlete triad, and RED-S. My goal is to walk beside you as you explore and strengthen your relationship with food, weight, body image and sports performance — helping to find a place where these can mutually co-exist and thrive with enjoyment. She has served as a consultant for UMKC, KC Ballet, KC Chiefs and various teams throughout the metro area. She is also co-host of PHIT for a Queen a podcast devoted to the female athlete balancing: performance, health, intellect and time for self. Rebecca is currently finishing up her book on relative energy deficit in sport called “Finding your Sweet Spot” the keys to understanding and optimizing energy balance and hopes to have it hit shelves in early 2019. Christine is a Licensed Clinical Professional Counselor in Kansas who has been working in the field of eating disorders since 2007. 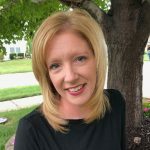 She received her Bachelor’s degree in Psychology from Northeastern State University in 1998, and she received her MS in Community Counseling from Oklahoma State University in 2009. Prior to outpatient practice, she worked at a psychiatric clinic and hospital, on the inpatient eating disorders unit. While there, she worked as a primary therapist on the adolescent unit, and enjoyed working with adolescents and their family. In addition to treating eating disorders, she has worked with patients struggling with anxiety, depression, familial issues and self-harm. She enjoys working within a team environment, and actively collaborates with all members of the patient’s team to ensure continuity of care. She works with all ages for those struggling with an eating disorder and employs a CBT and DBT-based approach, along with the belief that the relationship between the client and therapist is critical to therapy. In addition to individual therapy, she also has experience in family and group therapy. She is also open to working within a faith-based model of therapy, for those interested in that approach. She is a native from Oklahoma, and recently spent some years living overseas in South America. She enjoys spending time with her husband and daughters, her dogs, and exploring Kansas.